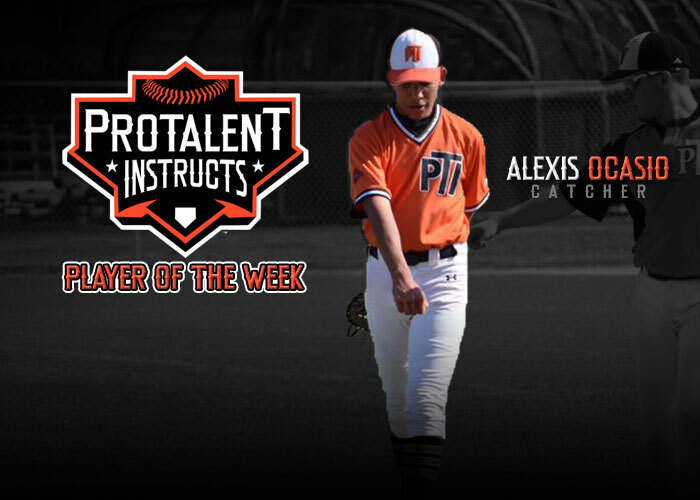 TAMPA, FL – PTI Underclassmen catcher Alexis Ocasio, who is only 14 years old, excelled this weekend with 8 hits in just 12 at bat with a par of doubles earning himself player of the week honors for PTI Baseball. Ocasio has been leading the team offensively and is responsible for throwing out 3 of 5 base runners while picking off 1 at third base. PTI would like to congratulate Alexis Ocasio on his great efforts.